Small Business Saturday isn’t the only day people should support local businesses, and after the fall Rogers Park has had, it’s more crucial than ever to shop local during the holiday season. This fall, the neighborhood experienced two of its most traumatizing events in recent memory. Within a two-day time frame, 73-year old Douglass Watts and 24-year-old Eliyahu Moscowitz were shot dead by the same masked gunman, rightfully sending the community into a frenzy. Along with various community reactions, a Loyola student Facebook group named “Roam RoPo” emerged to spread awareness and promote safety. It served, and continues to serve, as a platform for students to voice their concerns and alert those around them of impending danger. In efforts to stay out of harm’s way, students and residents became hesitant to roam the streets of Rogers Park, fearing for their lives with the killer still at large. Students banded together and walked with each other to their destinations. 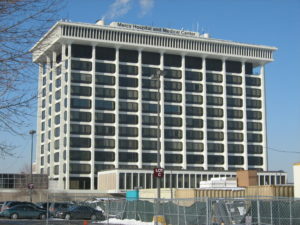 Businesses suffered as a result of the murders — some businesses estimated as much as a 25 percent decline in sales, CBS Chicago reported. More than two months after the murders, Rogers Park’s beloved local establishments are beginning to recover. December marks not only the final weeks of fall semester, but the beginning of the season of giving. During the time of year when students are in dire need of stress relievers, what better place to unwind than in a neighborhood that could use some love? Students too often spend time on the CTA on their way to “hipster” neighborhoods like Lincoln Park or Wicker Park to find good grub, but Rogers Park has its own options to offer without the commute. When they do stick around, many students tend to opt for Chipotle and Raising Cane’s for quick, inexpensive meals, but there are dozens of other restaurants to indulge beyond the confines of the university’s footprint. 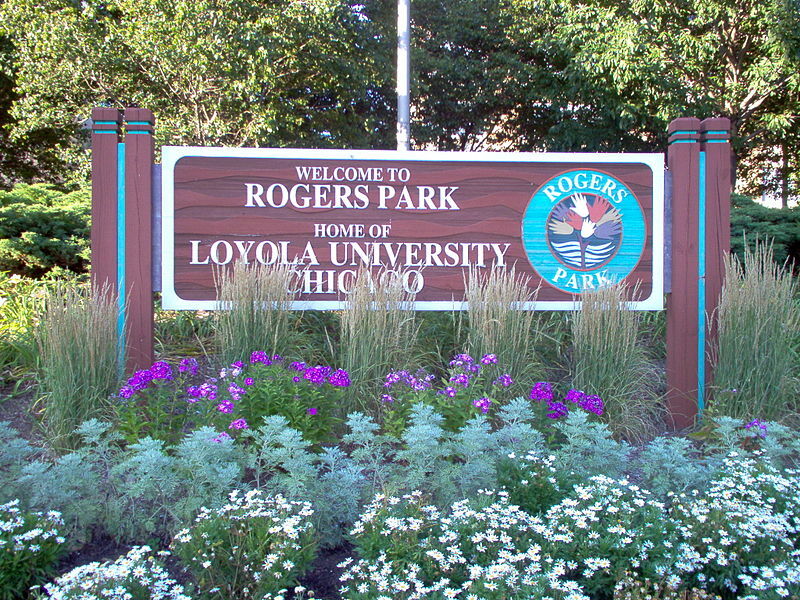 Loyola is a pillar in the Rogers Park community and can often exert great economic influence over the area. But that only happens if students embrace their neighborhood and take part in that influence. A sign sits firmly planted at the intersection of Sheridan Road and Devon Avenue to remind passerbys of where Loyola calls home. Rogers Park is home to hundreds of mom-and-pop shops, franchises and locally owned establishments. Venture one Red Line stop north of Loyola to Morse, and you’ll discover gems and soon-to-be favorite eateries. On Pratt Boulevard, Twisted Tapas serves comfort food, desserts and drinks from a mosaic-inspired space. For a healthier, locally owned and operated option, Heartland Cafe offers a diverse menu of vegetarian and vegan plates. If you’re not in a health-conscious mood, you could walk down the street to XO Marshmallow, a marshmallow and coffee cafe. Students should frequent these restaurants and show their support — local businesses matter. Journey two stops north of Loyola to Jarvis, and you’ll find more. Chic gastropub R Public House right off Jarvis serves up cocktails and comfort food for interested Rogers Parkers. For an international fare, Luzzat, right across the street from R Public House, serves traditional Indian dishes in a quaint, homey space. Trek three stops north of Loyola, and you’ll hit the end of the line at Howard. The edge of Rogers Park is home to a number of fine establishments. For a change of scenery from Loyola’s Information Commons, the hip coffeehouse Sol Cafe is an ideal setting. To eat something other than chicken fingers from Cane’s, Buffalo Joe’s is prepared to satisfy with buffalo wings, burgers and barbecue rib tips. Rogers Park isn’t only inhabited by dining establishments. More than 400 small, locally owned businesses call Rogers Park home, according to Bill Morton, president of the Rogers Park Chamber of Commerce. That’s 400 options to choose from when gift shopping or when rapidly researching last-minute outings with friends and family. Patronize the shops in Rogers Park — the mom-and-pop, hole-in-the-wall, brick-and-mortar shops — that make the community we call home so special. The Armadillo’s Pillow, situated at the intersection of Pratt Avenue and Sheridan Road, is a quirky used bookstore that appeals to both bookworms and non-bookworms. Where else besides Rogers Park could you find a vintage bookstore sandwiched between a music shop, residential apartments and a Kung fu studio? Morse Market offers inexpensive, quality meats and produce. The market is a viable alternative for those on a college student’s budget who don’t want to break the bank at Edgewater’s Whole Foods. Situated around the corner is Rogers Park Provisions, which serves a diverse assortment of wines, beers and liquor, as well as a plethora of cheeses, acting as another option for students — who are 21 and older — to shop locally. Instead of spending the time to travel to a theater like Evanston’s Century 12 to drop two-hours worth of a paycheck on a movie and popcorn, the New 400 Theatre screens the latest, most popular films at half the cost of franchise theaters. And it’s in Rogers Park within walking distance from campus. Without these local merchants, Rogers Park would be a wasteland of fast-food restaurants, and Loyola students would surely never travel northbound on the Red Line. This season, be the giver who gives the gift of giving dollars to Rogers Park’s small business owners.